HyProCure is a permanent, quick, and minimally invasive treatment option for children and adults suffering with pain from flat feet. HyProCure is a procedure that allows for a small stent to be placed into a space in the ankle and heel bones. This allows the foot and ankle to function acting as though there is an arch in the foot, naturally. While we believe in the use of a good, custom orthotic, we understand that can be difficult with a growing child. A custom orthotic is a shoe insert designed to help correct the biomechanical problems that cause you to walk a certain way (gait) or to rest your feet in a certain position. Orthotics are great for teens and adults, but to a child who outgrows their shoes every few month, orthotics can become an expense. The surgery is a long term and effective solution. HyProCure is safe and recommended for children and teens with flat feet. This procedure can help to treat the pain associated with flat, as well as prevent many common problems caused by flat feet. The position in which the foot lays when suffering from flat feet makes it prone to problems such as bunions, heel pain, and ankle sprains. 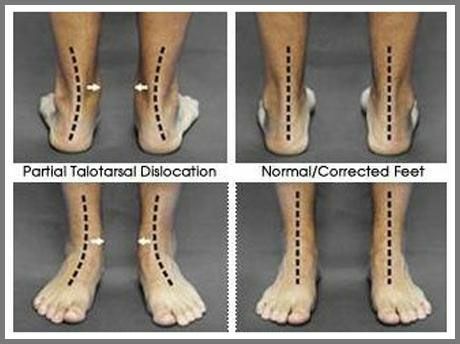 Flat feet can even cause pain in the knees and back. Getting the HyProCure procedure done early is essential. HyProCure is a quick procedure, only lasting 15-25 minutes and is minimally effective. Our patient have seen great results, both in the prevention of further problems and in eliminating the pain caused by flat feet. Call our office and find out if HyProCure is the best treatment for you or your child's flat feet.